The machine, comprised of food-safe plastic tubes and over 350 sensors run by software and 20 computers, is fully operational. It is stocked with carefully sourced produce, bread and meat.Culinary robots are starting to pop up. In Silicon Valley, Zume Pizza delivers pies pressed by a "Doughbot" in nine seconds. In Paris, startup Ekim has created a three-armed robot that makes pizzas. MIT grads opened Spyce in Boston which features robotic tumbling woks that create customized bowls, under the culinary direction of renowned French chef and restaurateur Daniel Boulud. Brioche buns are sliced, buttered and toasted by paddles moving like waves in the ocean. 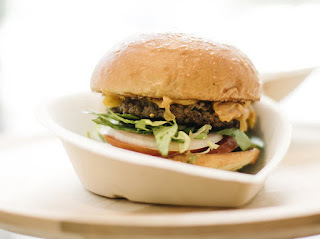 They land in specially designed, compostable hamburger boxes. 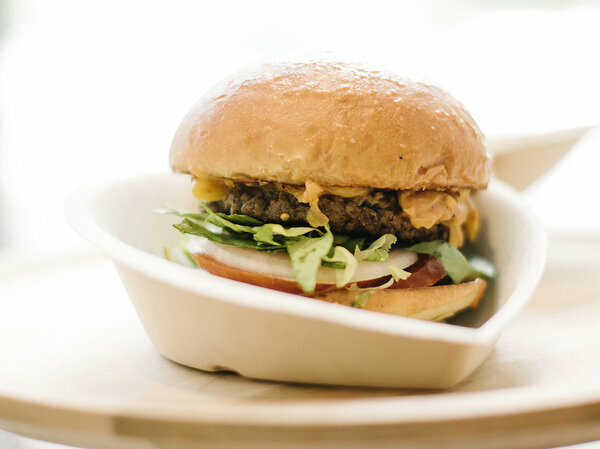 The buns are topped with fresh produce, sourced from local farms, which is sliced on the spot. Cheese is shredded from blocks and added. The in-machine meat grinder has been calibrated to vertically align the meat with diner's incisors. The 4.5-ounce beef patties are ground from brisket and cooked using the induction method, both sides at once, then slid into the boxes.And the fumes from cooking? They are cleaned inside the machine. Since then, Vardakostas has focused on creating a healthier work environment and developing a better way to make high-quality food at a reasonable price. Four years after he had his bot-burger vision, he built his first hamburger-making robot in his childhood garage. "I would drive up to Menlo Park and get machine parts at TechShop and drive all the way back down to Orange County and hope they fit together and try to make it work," he says.A move to San Francisco and a collaboration with 32-year-old Steve Frehn, now Creator's co-founder and COO, led to the second rendition of the burger machine. Now on version four, the machine, comprised of food-safe plastic tubes and over 350 sensors run by software and 20 computers, is fully operational. It is stocked with carefully sourced produce, bread and meat.